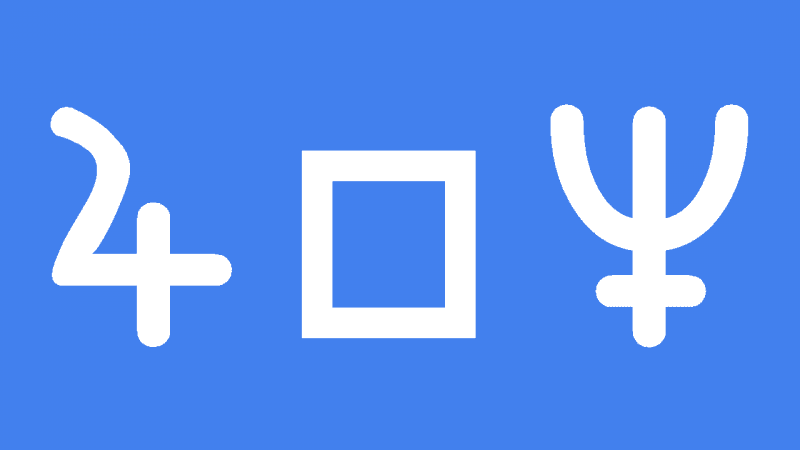 Jupiter square Neptune is a major planetary aspect occurring in 2019. There are three exact square aspects between January and September 2019 which I will show at the end of this article. First, however, you will find interpretations for the natal aspect and Jupiter square Neptune transit. Jupiter square Neptune in the natal chart brings some magically creative gifts that do, however, need some application and a certain amount of discipline to be fully realized. Developing your gifts to their full potential requires hard work. Over optimism, fantasies and escapism through drugs will only lead to embarrassment, loss and disappointment. However, these early experiences give you a very positive push, encouraging you to make a big impression in your chosen field. Realization that there are no shortcuts to success gives you a very strong faith. You exude an inspirational enthusiasm which seems infectious. This uplifting effect on others may stem from some rather tense inner energy, as if you work through self questioning by sharing your discoveries or creations along the way. Your work is a manifestation of your hopes and dreams. Jupiter square Neptune transit brings a test of your faith due to an embarrassing loss of face or some disappointment. You may have been too trusting or over idealized a romantic interest. It is important to cut your losses as soon as the reality of the situation shatters your illusion. This is a really bad time for being overly optimistic. You may feel trusting and generous but the risk of delusion and deception is too great to risk your resources. In fact, your resources may not be as secure as you thought they were. You should totally avoid gambling, drugs, gurus, cults and get-rich-quick schemes. It is normal to feel suspicious and paranoid during this transit. Rely on the advice of trusted friends and family. The Vatican 0°01′, Gary Caton 0°01′ Joseph Crane 0°01′, John Belushi 0°03′, Aaron Spelling 0°17′, Annie Lennox 0°19′, Celine Dion 0°20′, Leonardo DiCaprio 0°29′, Kenny Chesney 0°34′, Buddy Holly 0°35′, Charlton Heston 0°37′, Denzel Washington 0°38′, Niall Horan 0°53′, Jim Carrey 0°55′, Anne Frank 1°03′, Boy George 2°18′. I have Jupiter (24° Leo in 1st) square Neptune (12° Scorp in 4th) in my natal chart at 2°37’S. AND my birthday is 21 September–one of the days of the exact square. Sooo…the upcoming transit you mention sounds REALLY bad–like life-changing bad luck kind of bad. Am I being paranoid? Or is it really a “brace yourself you will see a drastic change in your life that you are not going to like. At all.” ? And how do I know what area of my life the change (if any) will occur in? not all squares are bad things. thinking like this about astrology gives up your power and will, i have this aspect in my natal chart, if you read Jamie’s interpretation for Jupiter square Neptune in the natal chart, you’ll see that it isn’t a “bad” aspect it just means that there are possible challenges to realize the full potential of the energies. It’s sayin to beware of being cheated on? That’s very specific…. PS: What happened to your paypal button? Is it only on a specific page now?? It is still below each post and in the sidebar. Just so you know–paypal is NOT showing up for me when I access your page via Firefox. Neither are the ads I click on when I read your articles (for ad $). All that shows up on FF are the social media share buttons and nothing beneath them (where paypal should be). I had to go to a different browser and then I can see the paypal button. On FF, I clicked on the secure icon next to your web addy. FF says they have blocked some content on your site and if I want to understand this new feature, click this link: https://support.mozilla.org/en-US/kb/mixed-content-blocking-firefox?redirectlocale=en-US&as=u&redirectslug=how-does-content-isnt-secure-affect-my-safety&utm_source=inproduct ). Maybe you can make them fix it so you don’t lose donations or $ from ads? I just checked my Google Analytics and Firefox accounts for 3.5% of visits and 3% of Adsense revenue. I moved from http to https which is more secure so maybe all you need to do is delete your history. I removed all the cookies I have for your site and then looked at media and FF had blocked Paypal and paypal images. That was the ONLY thing this new “protection” had blocked. Weird since I use Paypal almost daily for MY business so why FF would block it here, I have no clue. I’ve unblocked it now but still can’t pull up the images / ads so that I can click on them to help your site’s ad statistics. But at least I have paypal here now! Sorry to have bothered you with all the info (I’m a virgo–I can’t help myself, lol). I had just wanted to give it to you just in case it helped you. Passover (Hebrew: פֶּסַח Pesach) commemorates the story of the Exodus, in which the ancient Israelites were freed from slavery in Egypt. Passover begins on the 15th day of the month of Nisan in the Jewish calendar, which is in spring in the Northern Hemisphere, and is celebrated for seven or eight days. It is one of the most widely observed Jewish holidays. Passover, the Feast of Unleavened Bread. Eve of Sukkot (Hebrew: סוכות or סֻכּוֹת, sukkōt, or sukkos, Feast of Booths, Feast of Tabernacles) is a Biblical holiday celebrated on the 15th day of the month of Tishrei (late September to late October). It is one of the three biblically mandated festivals Shalosh regalim on which Jews were commanded to make a pilgrimage to the Temple in Jerusalem. Tu BiShvat or Tu B’Shevat or Tu B’Shvat (Hebrew: ט״ו בשבט‎) is a minor Jewish holiday, occurring on the 15th day of the Hebrew month of Shevat. It is also called “The New Year of the Trees” or (Hebrew: ראש השנה לאילנות, Rosh HaShanah La’Ilanot‎). Tu BiShvat is one of four “New Year’s” mentioned in the Mishnah. Tu B’Av (Hebrew: ט״ו באב, the fifteenth of the month Av) is a minor Jewish holiday. In modern-day Israel, it is celebrated as a holiday of love (Hebrew: חג האהבה‎, Hag HaAhava), similar to Valentine’s Day. It has been said to be a “great day for weddings”. Tu BiShvat or Tu B’Shevat or Tu B’Shvat (Hebrew: ט״ו בשבט‎) is a minor Jewish holiday, occurring on the 15th day of the Hebrew month of Shevat. It is also called “The New Year of the Trees” or (Hebrew: ראש השנה לאילנות, Rosh HaShanah La’Ilanot‎). Tu BiShvat is one of four “New Years” mentioned in the Mishnah. I am new to these charts you are using. Do you have a page that you explain what you mean by Squares & Natal? No I will have to make a page like that. Natal means birth, referring to your birth chart. Square is a 90 degree aspect between two planets, which is challenging like the opposition (180 degrees). Sextile (60 degrees) and trine (120 degrees) are helpful aspects. Interesting! I am longing to move from my current residence and was thinking about making the move as Jupiter goes into my 4th in October/November. However, I see that Neptune square (from the 7th) influence and cringe. Seems like it could manifest as high hopes and disillusionment about the place id like to move to – maybe the people being strange, deceptive, unreliable, or perhaps a disappointment? I really dislike where I am, but this aspect could bring about a feeling that I placed too much hope into this new place being an escape from the misery of the town i am currently residing in. I dont want to make any stupid moves, as Im looking to protect my resources, and build a better sense of security in my life. Transiting Chiron will trine my Moon and IC for a while to come and also my neptune in the 4th – so I am seeing this as a sort of healing influence with regards to my emotional foundations and residence as well. However, that Jupiter/Neptune makes me very nervous! I suppose whatever I choose to do, that influence will be active. If I stay where I am – I will llikely experience the same issues. Thanks for that Jamie, makes sense. I have Neptune in Scorpio 1st house square Jupiter in Aquarius conjunct IC, it does indeed have a lot of power, it has a sense of privilege to it, & woth thatbpower & privilege comes equal responsibility, espevially not to use or abuse it. It has proved itself to me to be very much a “greater good” rather than personal gain influence, indeed when it is used for personal gain, it is only an illusion or “enchantment”, doesnt ever really become solid & eventually dissolves. I have often wondered if Salvadore Dali had this influence given he apparently did see things as he painted them, melting or more fluid than generally etc. Its hard to explain, but then I know I cannot prove to others how differently I see or hear things for that matter, everything always seems to be a state of flux or transformation, morphing, tones & shades always more noticeable than the colour or sound, yet always hopeful, thank goodness it comes with a massive helping of faith lol! If you have any correspondence or anything at all to enlighten this aspect I would be most grateful. Jamie, the Jupiter/Neptune square, and commiserate transits, appears to mimic a Saga. Asteroid Saga 1163 is at 15Aqu44 in my natal chart, conjunct the NewMoon. In my Progressed chart Saga is conjunct Chiron. A few days after the NewMoon we had a series of snowstorms with serious accumulation, testing peoples resources. One task is finished, and another test arises… so it continues. Altho the extreme weather appears to be over.